Home » News » Christmas in PARIS ! How about celebrating Christmas in Paris? Or even better, how about enjoying the end of the year holidays in the capital? You like the capital for its beauty and you love the end of the year holidays? The do not hesitate further, you’ll have tons of fun! Actually, in December-January, the French capital wears its most beautiful adorns to vibrate with the magic of Christmas… and we love it! But also to warm your belly with some delicacies! What can be more cheerful than a spending a cold night warming up at the stands of a Christmas Market? Paris will blow your mind. 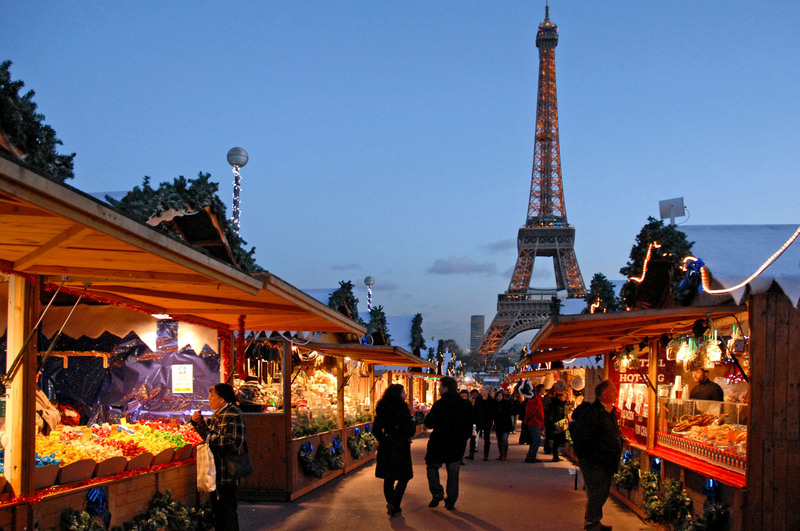 Of course, the most famous Christmas Market of Paris is the one at the Champs-Elysées. In the Gourmande Village, you’ll be able to treat yourself with some of the most typical dishes of the French cuisine: the onion soup, the Cassoulette (white beans with duck and pork), the Tartiflette (potatoes with bacon, table cream and melted Reblochon cheese), pies, French cheeses, hot wine and Christmas beers in Paris! You will also enjoy the La Défense Christmas Market or the Alsatian Market at Gare de l’Est! You’d rather have homemade French products? Then go to Gare Saint-Lazare, meet the craftsmen in person and find out the best Made in France products. So, no matter which aspect of Paris pleases you the most, you’ll probably find a Christmas market not far! The Christmas illuminations in Paris are a real attraction for the locals, but also for the tourists who come from all around the world to admire them. Once again at the Champs-Elysées, the avenue lives up to its reputation of “most beautiful avenue of the world”, with its illuminations around the theme of ecology and preservation of the planet. 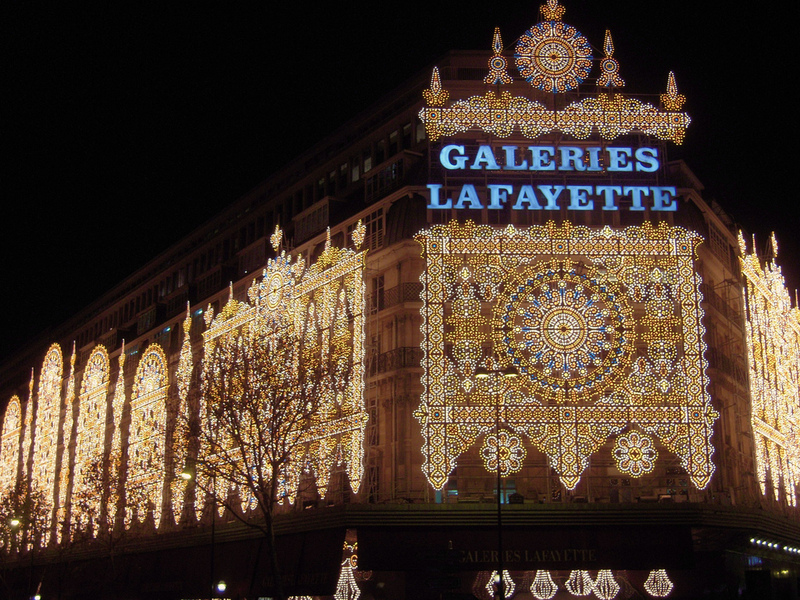 Other neighborhoods also deserve your attention for their Christmas illuminations, such as Abbesses, Montmartre, the Notre Dame Square or the showcases of the big stores such as the Galeries Lafayette, with its beautiful terrace with a panoramic view of Paris, or the Printemps. This year, Teddy Riner, world and Olympic Judo champion is the godfather of the Champs Elysées illuminations. The illuminations were inaugurated on November 21. You don’t have the occasion to travel for winter sports and you miss the chilling cold? Wear your skaters and come slide at one of Paris‘s end of the year’s ice rinks, such as the Nave of the Grand Palais, the acclimatization garden’s Eiffel Tower (the “Christmas Wonders”) or also the Hôtel de Ville square. But if you’d rather go to the big Parisian shows, check out the Théâtre de Châtelet to find out “42nd Street”, on until January 8, 2017, Broadway style, or the Festival du Merveilleux, on until January 2 2017, close to the Musée des Arts Forains with many different carousels and attractions.